Come see this 1736 sqft move in condition home with large rooms throughout, new laminate flooring, new hvac system, roof and hot water tank only 9 years old. nestled on 2.75 acres with a detached garage, fenced back yard, well landscaped front yard and crepe myrtles lining the driveway, you will feel right at home here. the sale includes two parcels. Nice rocking chair front porch to relax and drink your morning coffee. 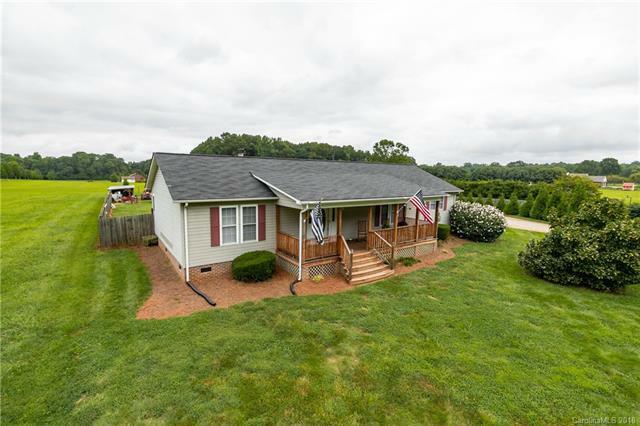 Outside the city limits for lower taxes but can be in downtown Salisbury in about 10 minutes, Mooresville in 15 to highway 85 in 10-12. luxury of the country living without being 30 minutes away from everything. You are close to Patterson farm, Cauble creek Vineyard, several produce stands and nurseries for all you plant needs. You will fall in love with this home for sure. Call today for a private showing, you wont be disappointed!